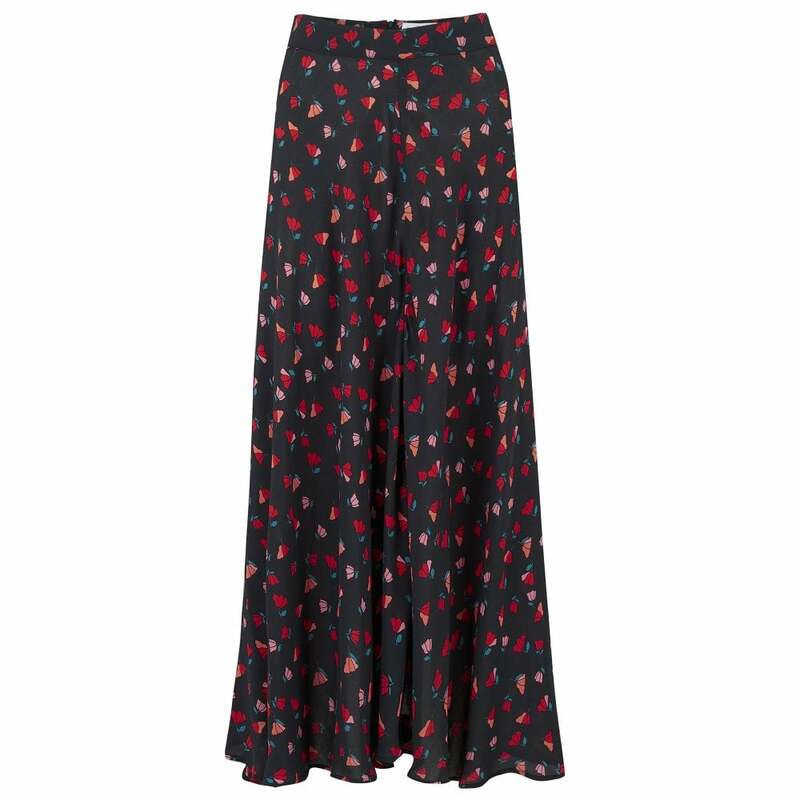 Velvet by Graham and Spencer Titania Midi Skirt in Tulip: So on trend this spring, the midi skirt is styled in a a black and coral tulip challis pirnt. This stylish skirt features and invisible back zip, asymetric hemline and side slits. Wear casually with a white tee and sneakers for a great look for trans-season dressing.